Our semi-private club has it all. Santa Rosa Golf & Beach Club was established in 1969 in a concrete block building bearing little resemblance to the sophisticated structure that currently sits directly on the beach, known as Vue on 30a. The golf club started as a 9-hole course, built by the members and later transformed into 18 holes designed by Roy Albert Anderson. The course beautifully carves through the natural surroundings of the local area. The gulf view from the appropriately named and newly renovated restaurant and beach club, Vue on 30a, commands attention from every corner of the restaurant. The terrace is perfect for outdoor dining or drinks with friends. The view of the sunset has been voted the “Best in Destin.” Private beach and pool access overlooking the beautiful Gulf of Mexico are popular amenities that club members enjoy. 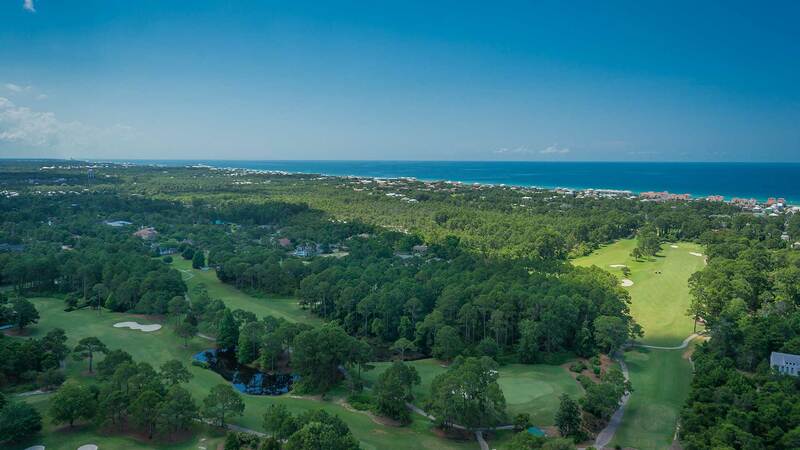 Vue on 30a the Golf Course are open to the public. Santa Rosa Golf & Beach Club has always been owned by the Equity Members, a unique membership experience. Equity Members, through the Board, direct the operations of the club including plans for the future of the business.